One of these Italian restaurant’s most famous appetizer menu items is their mussels in white wine sauce. You can make these at home they are easy to make. Mussels are sold in many large grocery stores. The ingredients for this dish are easy to find. Mussels are a critical part of this dish. 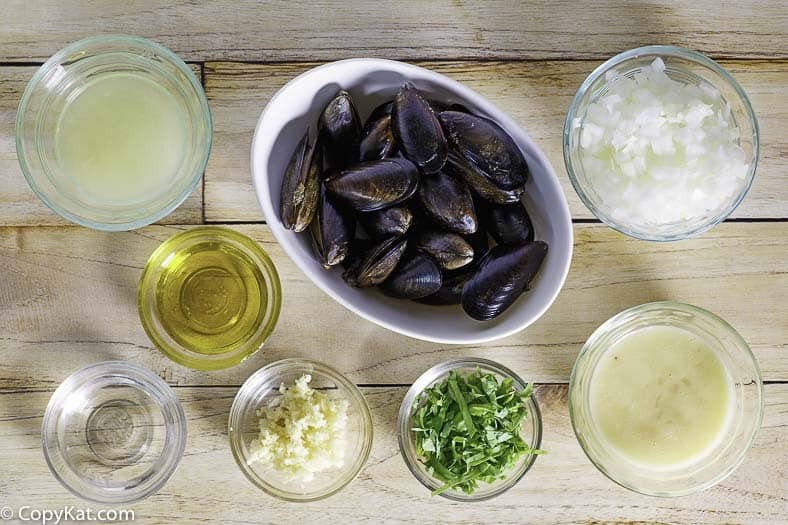 There are a few tips for selecting mussels. Mussels should be sold in mesh bags, or loose on the ice, or in a highly chilled environment. They should smell like the ocean. Mussels should be moist and not dried out when you purchase them. From my days in working in the grocery store business, I learned the seafood department should smell like the ocean, not spoiled fish. When you purchase your mussels you should remove them from the wire mesh, and place in a bowl. You should place a damp towel or paper towel over them. They should be cooked within a day or two. If any water collects at the bowl it should be discarded daily. Carrabba’s Mussels in wine sauce can be used as an appetizer or a main dish. If you enjoy this appetizer you may enjoy these other copycat recipes from Carrabbas. I would definitely serve this with some crusty bread as you won’t want to miss any of savory sauce. 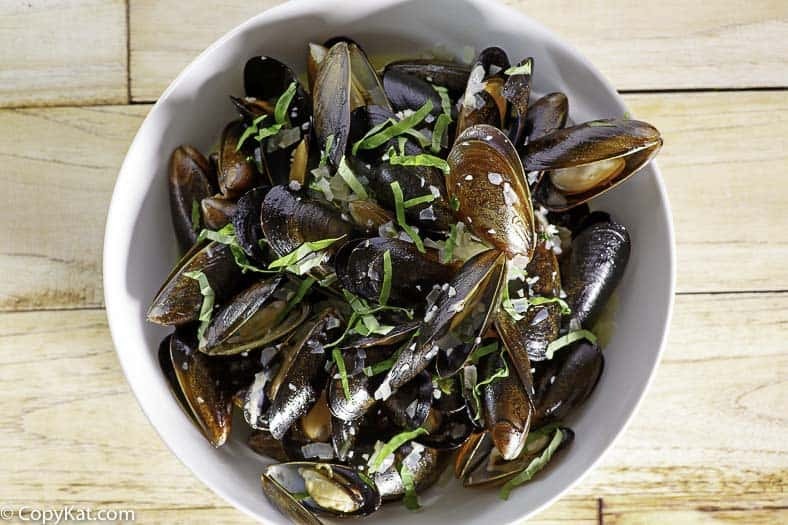 A glass of sauvignon blanc would go so well with these mussels. Mussels this tasty are bound to become one of your favorite recipes. 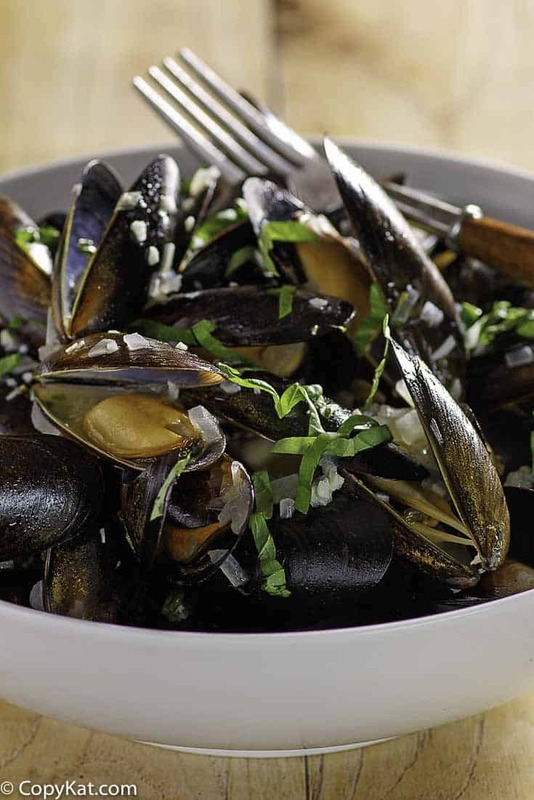 Carrabbas Mussels with White Wine Sauce can be used as an appetizer or a main dish. If you enjoy this appetizer you may enjoy these other copycat recipes from Carrabbas. Source San Antonio Express News. Carrabba’s Italian Grill is a popular chain of restaurants many are found in Texas. Their fare is similar to Macaroni Grill. You can make Carrabbas Mussels in White Wine Sauce at home. 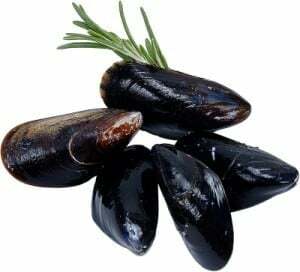 Soak mussels in cold water for several minutes, then scrub with a stiff brush and remove "beard" (the little tuft of fibers protruding from the shell), either with a sharp knife or by pulling on it with a damp cloth. Rinse mussels again in cold water. Heat olive oil in a 10-inch skillet; over medium heat add mussels. Cover with another 10-inch skillet or lid and cook until shells begin to open about 2 minutes. Remove top and add onion and garlic and toss. Cover pan again and cook for 1 minute. Remove top and add Pernod, basil, lemon juice, and lemon butter sauce. Return to flame for 30 to 45 seconds with the top of the skillet. Discard any mussels that did not open. Serve in a deep bowl. LEMON Simmer 2 to 3 minutes to reduce liquid. Remove from heat and swirl in cold butter until sauce is smooth and emulsified. BUTTER SAUCE: 2 tablespoons clarified butter (you'll need about 1/2 stick butter; directions follow) 2 tablespoons finely chopped yellow onion 2 tablespoons finely chopped garlic 6 tablespoons fresh lemon juice 2 tablespoons dry white wine Kosher salt White pepper 2 tablespoons cold butter. To make the sauce: Heat clarified butter, add onion and garlic and saute until transparent. Add lemon juice and white wine and season to taste with salt and pepper. Which Label Dry White wine did you use? These were fabulous! My friends absolutely loved them! I will be making them again!